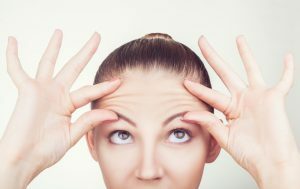 What Is Baby BOTOX Cosmetic? What Is Baby BOTOX® Cosmetic? Conservative treatment with BOTOX® injections typically means using a smaller amount of the formula, but the approach is also modified. Dr. Brunner adjusts the targeted areas, depth of injection, and other factors to optimize the outcome and provide the most natural-looking result possible. The goal is to achieve soft, youthful-looking features with no sign of “treatment” at all. Furthermore, by addressing wrinkles and fine lines early, you may be able to minimize advancement of those concerns, delaying the need for more invasive facial procedures in the future. If you’re beginning to develop signs of aging and want to know how you can rejuvenate your face without surgery, we can help. Talk to us today about your options.